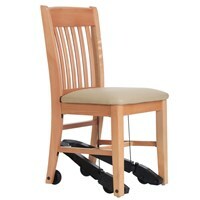 Royal EZ Series Assistive Chair - Cherry Wood with 18 in. Vinyl Seat - This assistive chair was created so family members, caregivers, and business owners a could easily move a seated person to and from a table. The built-in Royal EZ mobility chair gently glides on almost any surface and provides jerk-free motion that will not scratch the floor, and it is so easy to use that even a child can use it. 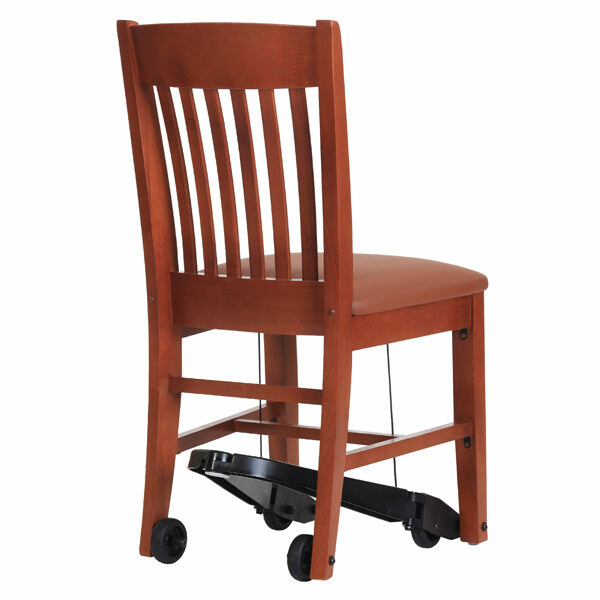 This Royal EZ assistive chair is an armless chair with a cherry wood finish and a padded 18-inch seat made of Saddle Vinyl, providing both stylish and comfortable seating. The Royal EZ mobility chair is built to commercial quality standards and fire codes so not only is it ready to be used in the home, it is ready to be used in offices, restaurants, assisted living centers, hospitals, anywhere! REZ...It moves: The Royal EZ attachment enables even a child to move a person up to the table. 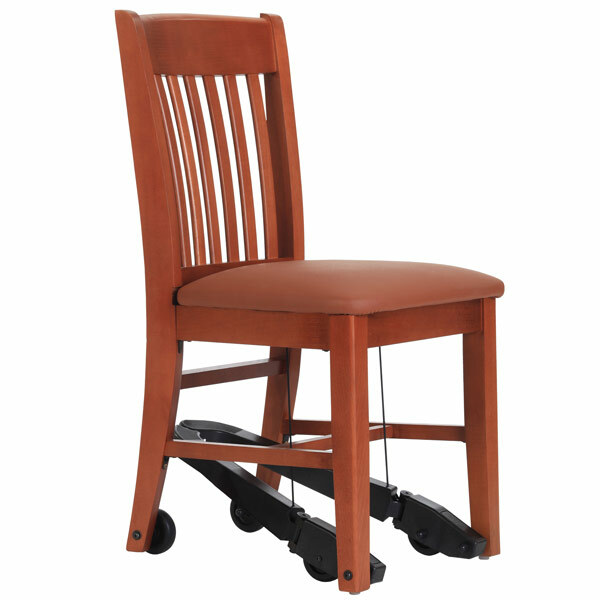 A caregiver, by stepping on the rear pedal, engages the front casters, effortlessly moving the seated person to forward. Releasing the pedal firmly repositions the chair on the floor. REZ...It locks: Key to the performance of the Titan assistive chair is the stability provided to seniors and caregivers. 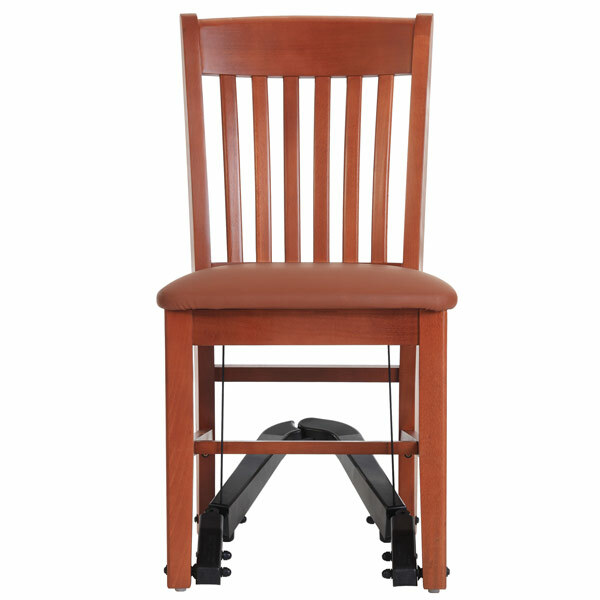 With the REZ disengaged, the front legs of the chair are in direct contact with the floor, while the pre-set tension to the rear casters prevents the chair from rolling.